As American Indian soldiers engaged in the Great War were to fight alongside French and British soldiers, against German soldiers, it is interesting to know what idea of the Indian the French, English, and German soldiers had. As Europe is made up of different countries and cultures, it might be as risky to refer to a general "European" idea of the Indian as to speak about Indians in general. Both terms­European and Indian­are abstractions that represent a wide variety of realities. However, my concern in this aspect of my study is with stereotypes­and they are essentially simple, erasing differences to create a highly caricatured image of reality. In this sense, the basic difference between European countries and the United States is that the American Indians did not live on European national lands and thus Europeans could project their ideas, images, stereotypes more freely on a reality that did not concern them directly. Richard H. Cracroft, in an article on "The European Writer and the American West," commented that a close "examination of the literature of European nations reveals that most of these nations have a long-standing Wild West literary tradition which rivals and in some ways exceeds that of the United States. "#75 Traveling accounts of European voyagers having visited North America began as soon as the 17th century but they were not read by many people. They are nonetheless interesting because they were later used by more popular authors to document their fictions. In Europe, François-René de Chateaubriand, who had read Joseph-François Lafitau and visited the United States in 1791,#76 introduced the romantic Indian with three novels­Atala (1801), René (1802), and Les Natchez (1826). The numerous editions and translations of these books in European countries#77 contributed to popularizing the Noble Savage image already evoked by Rousseau in the 18th century, which was "often employed rhetorically to criticize and satirize European societies. "#78 Chateaubriand's books even inspired artists such as Eugène Delacroix who made a painted version of Les Natchez, exhibited at the Paris Salon in 1835.#79 Then James Fenimore Cooper became as popular in Europe as in the United States. The Pioneers was published in 1823 in the U.S. as well as in France and England.#80 Both Chateaubriand and Cooper would have an immense influence on the shaping of the 19th-century image of the Indian for popular authors who also used travel accounts to give some substance to their tales. As shown previously, the Wild West Shows were immensely popular in Europe and enabled thousands of people to see for themselves what an Indian looked like. Yet, this was entertainment and even if the European spectators believed the Shows to be a reflection of historical realities, they knew through newspaper articles that the days of invincible Plains Indian warriors were past. Ethnological exhibitions, having the support of the scientific world, also claimed to offer a realistic image of the Indian. Newspaper articles transmitted stereotypes along with approximate and simplified information. For example, an article entitled "A Dying Race" ("Une race qui meurt") was published in the illustrated supplement of Le Petit Journal on March 12, 1905.#98 It evoked the misery of life on the reservations­hunger, epidemics, alcoholism, but devoted more attention to the military extermination of the Indians. According to this article, the Iroquois no longer existed. The journalist also embedded the stereotype of the Indian as a warrior when he wrote that very few of the Indians had kept their old warrior traditions. The article was especially devoted to the Apache, some of them having been called Tonto#99 by the Spanish for their stupidity! Yet, as is specified in an article on Apaches two years later in the same journal,#100 the term Apache in France at the turn of the century was used to design a rascal ("mauvais garçon"). Last but not least, the cover page illustration for the 1905 article, meant to represent the massacre of Apaches in the Sonora desert, featured typical Plains Indian warriors against a background of tipis; the back page illustration for the 1907 article on the Apache revolt meant to represent this revolt also features Plains Indians warriors against the same kind of background. In the late 19th century, European anthropology was merely natural history applied to the human species and consisted in gathering extensive collections of information on the different races­skin samples, moulds of the faces, measurements of the size of the cranium, photographs, etc.#101 Photography proved very useful in organizing different human beings into classes and types and was later copied by the police administration with their "Rogues' Gallery ID photographs. "#102 All these experiences interested a very restricted number of scientific persons but the new ideas began to make their way into the public arena after ethnological exhibitions became the latest fashion. The "Jardin d'Acclimatation" was created in the 1860s in Paris and had the mission of showing to the public "all the animal species (...) newly introduced in France and which might seem of interest by their utility or appeal. "#103 The first human "species" to be exhibited were some Nubians in 1877, and this continued until 1890 with Eskimos, Gauchos, Fuegians, Ceylonese, Kalmucks, Galibis Caribes, Araucanians, Omaha Indians, Hottentots, Laps, and Somalis. The "specimens" were usually exhibited in their traditional dwellings­which spared hotel fares­safely protected from the public's curiosity by wire fences. The exhibitions were accompanied by newspaper articles in popular pseudo-scientific newspapers like La Nature, Science et Nature, La Science illustrée, or La Science populaire.#104 They were quite similar to the anthropological exhibitions displayed during International Fairs of which we will speak later and merely confirmed the spectators' faith in the marvels of their own civilization. If the ethnological exhibitions of the Jardin d'Acclimatation were kindred in spirit to the Wild West Shows, they received the backing of the scientific community and thus provided the public with another image than that of the noble warrior. The Omaha of 1883 provided live evidence for articles published in popular newspapers about the survival of a dying race. However, before the monument could be built, the moral and material commotion of the Great War intervened, the project slipped into oblivion and the Indian Memorial would never materialize to stand and to overshadow the Statue of Liberty. Interestingly, the groundbreaking ceremony was directly followed by Dixon's third trip­the "Expedition of Citizenship"­as if it were not enough to acknowledge the physical death of the Indian. Dixon's undertaking was in perfect harmony with the reform spirit of the times, and particularly with the policy promoted by the newly-created Society of American Indians that had put citizenship on its program since its creation in 1911 and on its platform since 1912.#120 Dixon thus covered more than 20,000 miles with the American flag, stopping at each reservation where he played a speech of President Woodrow Wilson on a Thomas Edison recording machine and where he asked the leaders of the tribes to sign a "Declaration of Allegiance to the Government of the United States by the North American Indian. "#121 But Dixon's campaign for Indian citizenship stands in sharp contrast to the successful post-WWI efforts where the romantic image of the Indian would be replaced by­or sometimes only coexist with­a more "humanitarian" concern for people who had to survive no matter what had happened to them in the past. The image of the Indian is a strong one, deeply embedded in the collective unconscious of Americans, but also in the minds of Europeans. 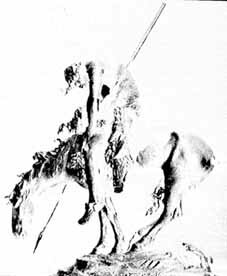 By 1917, in the United States, this image had become more "docile" and positive than in the past, when American Indians were still a danger on the frontier. Yet, whether in dime novels, Wild West Shows, in the first movies, on postcards, in the photographs of Edward Curtis or in the mind of anthropologists, this image retained much of the elements of the past. The Indian, part of a "vanishing race," was basically a Plains Indian warrior­the one popularized in newspaper articles, shows, books, etc., of the turn of the century. The gap between the reality of American Indian life retraced in the two first chapters­American Indians fighting alongside the American Army and the state of Indian affairs in the decades preceding the Great War­and the image of American Indians in the collective unconscious is striking. 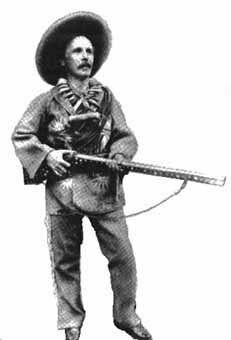 On the one hand, there are people who tried to adapt their lives the best they could to the devastating effects of American colonization, fighting either against or with American troops depending on which side would best fit their traditional patterns and allow them to save their lives and cultures from annihilation. These people, once subjugated by the United States, had to adapt to depressing life on reservations, to accept the loss of their land, and to undergo intensive assimilation. On the other hand, there is the dual stereotyped image of an Indian, either noble and peaceful, or savage and warrior-like. This image, while evolving in form throughout the centuries of contact, remained basically the same. By 1917, having undergone over three decades of forced assimilation and having a tradition of serving with the American Army, many American Indians were ready to go overseas "as crusaders of democracy and civilization. "#128 By 1917, in the wartime patriotic frenzy, the stereotype of the Indian warrior was rapidly revived to describe American Indian soldiers, but also, contradictorily, to symbolize the very Americanness of United States intervention in Europe. 1. Richard H. Cracroft. "World Westerns: The European Writer and the American West." In A Literary History of the American West. Fort Worth, Texas: Christian University Press, 1987 (1977), p.159. 76. Sylvie Péharpré. "Lettres indiennes." ("Indians in French Literature"). In Sur le Sentier de la Découverte: Rencontres franco-indiennes du XVIe au XXe siècle. (Crossing Paths: French-Indian Encounters, XVIth to XXth century). Bilingual (French/English) edition. Ed. Véronique Wiesinger, Musée National de la Coopération franco-américaine, Château de Blérancourt. Paris: Réunion des Musées nationaux, 1992, p.145 (English version). 77. Richard H. Cracroft, op. cit., p.160. 78. Michel Castro. Interpreting the Indian: 20th-Century Poets and the Native American. Albuquerque: University of New Mexico Press, 1983, p.xvi. 79. Sylvie Péharpré. "Les Indiens des Salons parisiens." ("The Indians of Paris Salons"). In Sur le Sentier de la Découverte: Rencontres franco-indiennes du XVIe au XXe siècle. (Crossing Paths: French-Indian Encounters, XVIth to XXth century). Bilingual (French/English) edition. Ed. Véronique Wiesinger, Musée National de la Coopération franco-américaine, Château de Blérancourt. Paris: Réunion des Musées nationaux, 1992, p.150 (English version). 80. Richard H. Cracroft., op. cit., p.160. 82. "[Les compositions de Curtis] nous font revivre les heures passionantes de notre enfance, quand nous dévorions les récits de Fenimore Cooper et de Gustave Aimard, quand nous vivions la vie de la prairie aux côtés d'Aigle-Noir, d'�il-de-Lynx et autres héros des implacables guérillas du Far-West." V. Forbin. "Les derniers Peaux-Rouges." In Les Grands Dossiers de L'Illustration: Les Etats-Unis d'Amérique, 1843-1944. Paris: SEFAG/L'Illustration, 1987, p.136. 83. Richard H. Cracroft, op. cit., pp.170-72. 84. Katja H. May. "German Stereotypes of Native Americans in Context of Karl May and Indianertümelei." In Victorian Brand Indian Brand: The White Shadow on the Native Image. Ed. Naila Clerici. Torino, Italy: Il Segnalibro, 1993, pp.82-83. Charles May. Les Pirates du rail. French translation from German original. Paris: Flammarion, 1948, pp. 15, 51. 85. Katja H. May, op. cit., pp.80-81. 86. Christian Heermann. Der Mann, der Old Shatterhand war. Eine Karl-May-Biographie. Berlin: Verlag der Nation, 1988, pp.71-84. 87. Katja H. May, op. cit., pp.81-82. 88. Charles May, op. cit., p.17. 89. Richard H. Cracroft, op. cit., p.164. 90. Karl May. Winnetou. Volumes 1 & 2. English translation from German original. New York: The Seabury Press, 1977. 92. Richard H. Cracroft, op. cit., p.164. 93. Katja H. May, op. cit., p.79. 94. Quoted on the back jacket of Karl May, op. cit. 95. Here is the way Karl May describes Vupa-Umugi, a Comanche chief: "La cruauté de Vupa-Umugi était renommé. Elle s'exerçait non seulement contre les Blancs, mais aussi contre ses propres congénères. Respecté pour sa valeur guerrière, Vupa-Umugi n'était pas aimé." Charles May. Main-Sûre l'infaillible. French translation from German original. France: Flammarion, 1964, p.65. 96. Les Grands Dossiers de L'Illustration: Les Etats-Unis d'Amérique, 1843-1944. Paris: SEFAG/L'Illustration, 1987. October 17, 1868, pp.95-96: "Massacre de femmes et enfants de la tribu des Sioux dans le territoire d'Idaho (Etats-Unis)." December 19, 1868/January 29, 1869/February 6, 1869, pp.97-101, 102, 103: René de Semallé, "Les Indiens des Etats-Unis," a fully documented article in which the author refuses to say that the Indians are vanishing and suggests the creation of an Indian state on the model of Switzerland under the leadership of Ely S. Parker, future Commissioner of Indian Affairs. 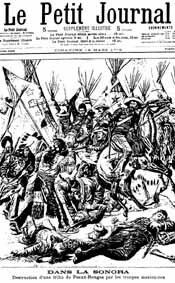 November 4, 1876: "Etats-Unis: la Guerre des Sioux," interestingly, this short article reports on a June 16, 1876 Battle of the Rosebud as a victory for the federal troops. All other mentions of the Battle of the Rosebud I found indicated that it took place on June 17 and that it had been a harsh defeat for the troops of Gen. George Crook (George Hyde. Red Cloud's Folk: A History of the Oglala Sioux Indians. Norman: University of Oklahoma Press, pp.263-65). Moreover, the article did not say a word of the June 26 Little Big Horn Battle, Custer's famous Last Stand (Ibid., pp.266-74). December 1890, pp.123-24: "La Révolte des Indiens Sioux," this article was reporting on the beginnings of a "little war," and featured an etching of the Ghost Dance at Pine Ridge. April 17, 1909, pp.136-42: V. Forbin, "Les derniers Peaux-Rouges," this article was entirely illustrated by Curtis's beautiful but nostalgic photographs, underlying the pessimistic tone of the text. 97. "[Une] oeuvre grandiose, véritable monument élevé à la mémoire d'une race qui ne sera plus demain qu'un souvenir." 98. Le Petit Journal (Supplément illustré). 16:747. March 12, 1905, pp.81-82 (cover page and first page). 99. This was long before the famous celluloid heroes, descendants of Old Shatterhand and Winnetou: the Lone Ranger (Quien-no-sabe) and his faithful Indian friend. 100. Le Petit Journal (Supplément illustré). 18:870. July 21, 1907, pp.226-32. (first page and back cover). 101. In 1885, anthropology was a department of the French Museum of Natural History and Armand de Quatrefages de Bréau, the founder of this department, gave a definition of anthropology: "L'anthropologie est la science des hommes, comme la zoologie est la science des animaux, comme la botanique est la science des végétaux (...) ces deux sciences doivent lui servir de guide." Quoted by Florence Pizzorni Itié. "Roland Bonaparte (1858-1924)." In "Peaux-Rouges," Autour de la collection du prince Roland Bonaparte. Ed. Benoît Coutancier. Thonon-les-Bains: l'Albaron/Photothèque du Musée de l'Homme, 1992, p.18. 102. Christian Barthe. "Les Omaha de Bonaparte." In "Peaux-Rouges," Autour de la collection du prince Roland Bonaparte. Ed. Benoît Coutancier. Thonon-les-Bains: l'Albaron/Photothèque du Musée de l'Homme, 1992, pp.66-67. 103. "toutes les espèces animales qui/... seraient nouvellement introduites en France et paraîtraient dignes d'intérât par leur utilité ou leur agrément." Benoît Coutancier. "Découvrir l'Autre au Jardin d'Acclimatation." In "Peaux-Rouges," Autour de la collection du prince Roland Bonaparte. Ed. Benoît Coutancier. Thonon-les-Bains: l'Albaron/Photothèque du Musée de l'Homme, 1992, p.35. 104. Benoît Coutancier, op. cit., pp.35-40. The late 19th century is not far. In April 1994, the "Safari Parc" near Nantes in France was illegally employing a group of people from the Ivory Coast, two of them being under 18 years old. They were playing music and dancing, in the replica of a Senoufo village where they were accommodated and fed, without authorization to leave the park. A lump sum of money was to be given to the leader of the troupe at the end of their seven-month stay. Nicolas de la Casinière. "Les Ivoiriens du Safari Parc, nourris, logés mais pas payés." Libération. April 21, 1994, p.35. 105. Benoît Coutancier. "'Fumée Jaune' et ses compagnons." In "Peaux-Rouges," Autour de la collection du prince Roland Bonaparte. Ed. Benoît Coutancier. Thonon-les-Bains: l'Albaron/Photothèque du Musée de l'Homme, 1992, pp.50-61. 106. Ernest-Théodore Hamy. "Les Peaux-Rouges, Indiens Omaha au Jardin d'Acclimatation." Science et Nature, n°1, December 1, 1883. In "Peaux-Rouges," Autour de la collection du prince Roland Bonaparte. Ed. Benoît Coutancier. Thonon-les-Bains: l'Albaron/Photothèque du Musée de l'Homme, 1992, pp.116-20. 107. Hazel W. Hertzberg. The Search for an American Indian Identity: Modern Pan-Indian Movements. Syracuse, NY: Syracuse University Press, 1971, pp.215-16, note 11 p.336. 108. E.E. Reynolds. Baden-Powell. Neuchâtel, Switzerland: Delachaux & Niestlé S.A., 1946. 109. Florence Curtis Graybill & Victor Boesen. L'Amérique indienne de Edward S. Curtis. French translation from English original. Paris: Terre Indienne/Albin Michel, 1992, pp.19-24. 110. George Catlin. North American Indians. Edited and with an introduction by Peter Matthiessen. New York: Penguin Books, 1989, p.2. 111. Florence Curtis Graybill & Victor Boesen, op. cit., pp.24-33. 113. Serge Bramly. Introduction to Edward S. Curtis. Paris: Centre National de la Photographie, 1990, n.p. 114. Marie Mauzé. "Document ethnographique et �uvre de fiction: "In the Land of the War Canoes d'Edward Sheriff Curtis." In Les Indiens et le Cinéma : des Indiens d'Hollywood au Cinéma des Indiens. Eds. Gilles Laprévotte et al. Amiens: Trois Cailloux, 1989, pp.35-40. 115. All information on Dixon and Wanamaker are taken from two articles, unless otherwise mentioned: Russel Lawrence Barsh. "An American Heart of Darkness: The 1913 Expedition for American Indian Citizenship." Great Plains Quarterly 13 (Spring 1993), pp.91-115 and Paula Richardson Fleming & Judith Luskey. "The Wanamaker Expeditions." The North American Indians in Early Photographs. London, England: Phaidon Press, 1992 (1986), pp.216-217. As indicated by its title, the first article is quite critical of Dixon whereas the second one emphasizes the artistic side of these undertakings. 116. Crawford R. Buell. Introduction to Dr. Joseph K. Dixon, op. cit. 119. Ibid., p.xvi. "Concept," by Rodman Wanamaker. 120. Hazel W. Hertzberg. The Search for an American Indian Identity: Modern Pan-Indian Movements. Syracuse, NY: Syracuse University Press, 1971, pp.68, 80. 121. Russel Lawrence Barsh, op. cit., pp.91-115. 122. Frederick E. Hoxie. A Final Promise: The Campaign to Assimilate the Indians, 1880-1920. Cambridge: Cambridge University Press, 1989 (1984), pp.16-22. 125. Ibid., pp.86-90. William H. Truettner. "Science and Sentiment: Indian Images at the Turn of the Century." In Art in New Mexico, 1900-1945: Paths to Taos and Santa Fe. Charles C. Eldredge, Julie Schimmel, & William H. Truettner. New York: Abbeville Press Publishers, 1986, p.26. 126. Frederick E. Hoxie, op. cit., pp.90-93. 127. Ibid., pp.93-94. William H. Truettner, op. cit., p.26. 128. Report of Commissioner of Indian Affairs Cato Sells. September 30, 1918. In The American Indian and the United States: A Documentary History. Vol. II. Ed. Wilcomb E. Washburn. New York: Random House, 1973, pp.879.